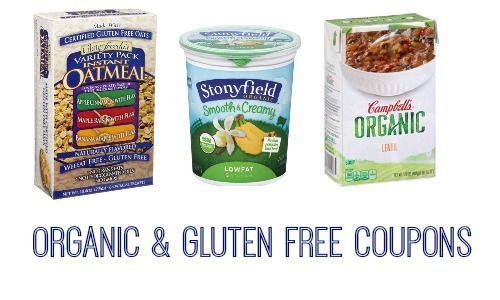 There are a several coupons for gluten-free and organic foods! Save on items from Seeds of Change, Udi’s, Plum Organics and more. Don’t forget that the Coupon Database is a great tool to search and find the latest gluten-free coupons and organic coupons!